Experts consider this one of the finest pieces of folk art ever made in Quebec. 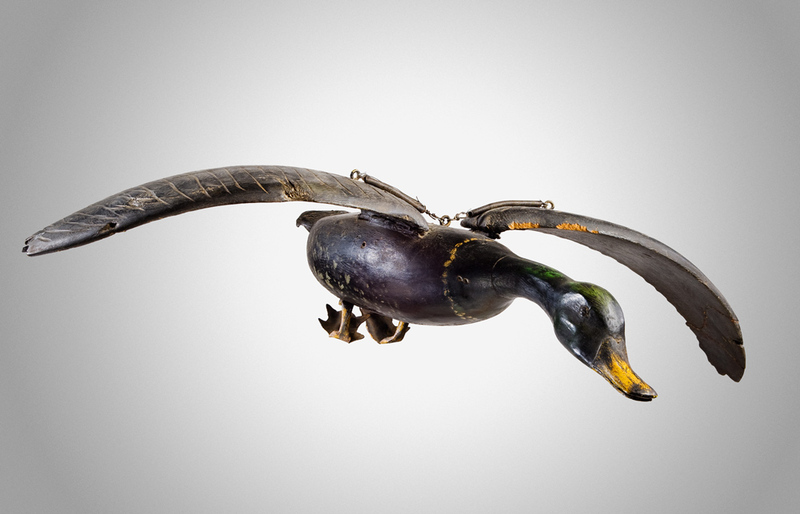 Decoys featuring ducks in flight are extremely rare. Though it is unclear if the piece ever served as a hunting lure, we know it was used as a weather vane. It was made between 1900 and 1940. The artist is unknown.